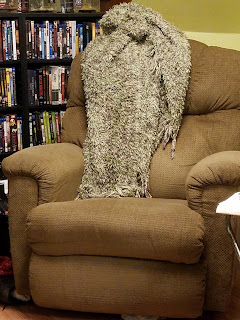 Don't Call Me Marge: Do My Cats Love Me, or Do They Love My Chair? Do My Cats Love Me, or Do They Love My Chair? Are cats capable of feeling love? I think so. I often see a look in the eyes of my cats that at least passes for loving. According to Dr. Berit Brogaard, writing in Psychology Today, the brains of cats are 90 percent similar, in structure, to our own. Dr. Brogaard goes on to say that, while cats demonstrate a more avoidant attachment style than dogs typically do, they are capable of becoming attached to their caregivers. Of course, if you've ever owned a cat, you already understood this. My cats follow me around the house all day long. When I come home, they are waiting at the door to greet me. Fatty will sleep in my bed at night if I let him, and if I don't let him, he scratches furiously at the door with both front feet until I emerge. Whenever I sit down in my favorite chair, a cat sits on me. Max does this weird thing where he'll jump on my lap, knead at my belly for several minutes, and then curl up on or next to my feet, usually staring at me adoringly. Fatty is more of a lap cat. 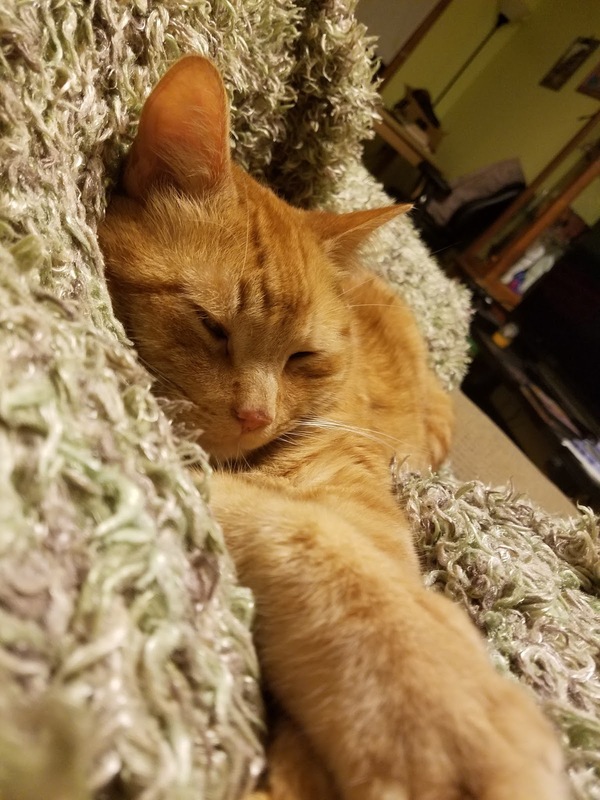 He'll spend hours sleeping on my lap. Even Penny, when she was still with us, eventually warmed up to the idea of sitting on my lap, although her favorite place to sit for most of our time together was on the arm of my chair. I always thought this behavior was a sign of their love for me. Fatty probably thinks I'm his mother, seeing as how I rescued him from a Wal-Mart parking lot when he was three weeks old. Max is less attached. But recently the manfriend remarked, "I don't think they're sitting on you because they love you. I think it's the chair." I realize that on the surface, that sounds kind of harsh. Obviously they love me, but he kind of has a point. When I sit on the couch, or in my office chair, they're nowhere near as interested in sitting on me. Most tellingly, whenever the manfriend sits in the chair, they suddenly discover a newfound interest in sitting on him, too. Also, there is almost always a cat in the chair whether anyone is sitting in it or not. They're using me to get to the chair. Those little bastards. Our old cat would do the same kneading thing on our laps. She would do it forever, walk around in circles then plop down. It felt like a little cat massage! I know. If only I could get them to do it to my shoulders!